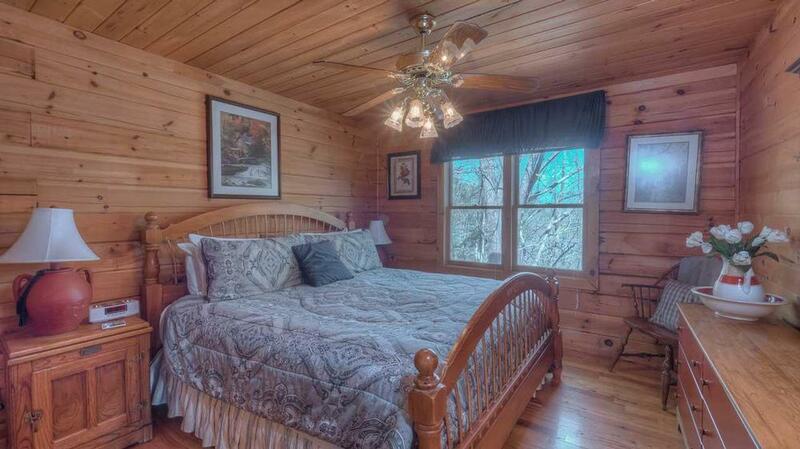 Set deep in the My Mountain area of Morganton, this Gordon cabin is sweet as can be. 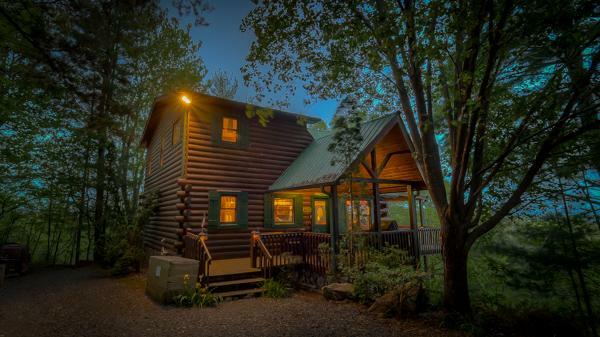 Whether you're planning a sweet escape for your family or just you and your sweetheart, this hidden gem tucked away at the end of a short country lane offers a secluded and serene setting for your mountain vacation. 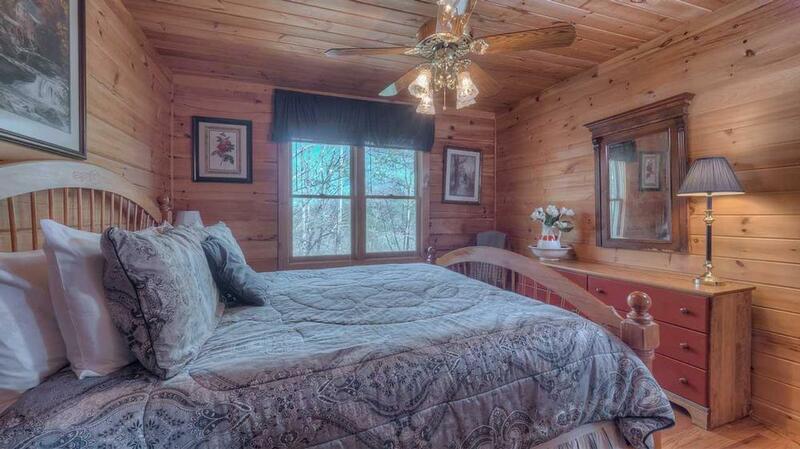 With its warm decor and cheerful atmosphere, Cabin Sweet Cabin will make you feel right at home. The main floor's open plan, high ceilings and loft upstairs makes the cabin feel spacious and roomy, yet its cozy furnishings give it that charming cabin feel. Start your morning out on the covered deck, sipping your morning coffee on a rocker while witnessing an awe-inspiring sunrise. Then spend a leisurely day fly fishing, playing some golf or perhaps taking a historical tour of the area. In the afternoon, sample the latest local vintages while on a wine tour surrounded by glorious fall colors. Back at your sweet retreat, grill your fresh fish and enjoy a casual dinner outdoors along with a fantastic sunset. 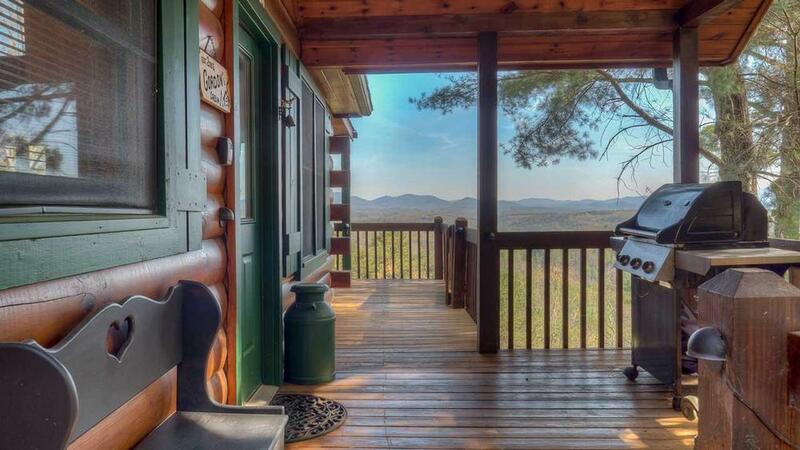 This pet-friendly cabin even has a security gate on the main deck for keeping pets safe, so they can share the view with you! Cuddle by the stone wood-burning fireplace on cooler nights or warm up in the bubbling hot tub on the private deck while enjoying a nightcap and breathtaking panoramic vistas. If you've brought the kids with you, they'll have a ball in the game room, playing foosball and bumper pool or just watching a movie. With the bunk beds downstairs, it will feel like their own private retreat. Treat yourself to a luxurious bath in the loft's garden tub and let the jets relax every muscle before heading off to a blissful night's sleep in the romantic, canopied wood bed up in the loft, or the king bedroom on the main floor. In the morning, awake to beautiful mountain views and another day of fun and leisure ahead. 03/19 - Beautiful view. Great company. 02/19 - We love the floor plan! Open and amazing! To be able to watch the sunrise from the comfort of your bed, unreal! Also, the hot tub was a great addition too! The company hands down amazing! We were lost on the way to the cabin and the representative stayed on the phone until we were secure. Thank you! 01/19 - Enjoyed the fireplace and hot tub and view from the deck. Great company. 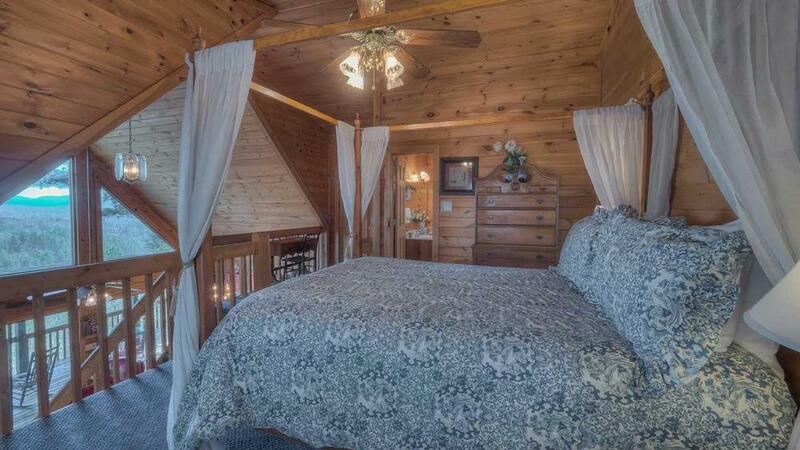 11/18 - The cabin is so peaceful and secluded. Being at the end of the road, it really feels like you have the mountain to yourself! I couldn’t be more impressed with Escape To Blue Ridge! I’ve been using rental companies for years to rent cabins, but Escape to Blue Ridge is the best I’ve dealt with by far!! 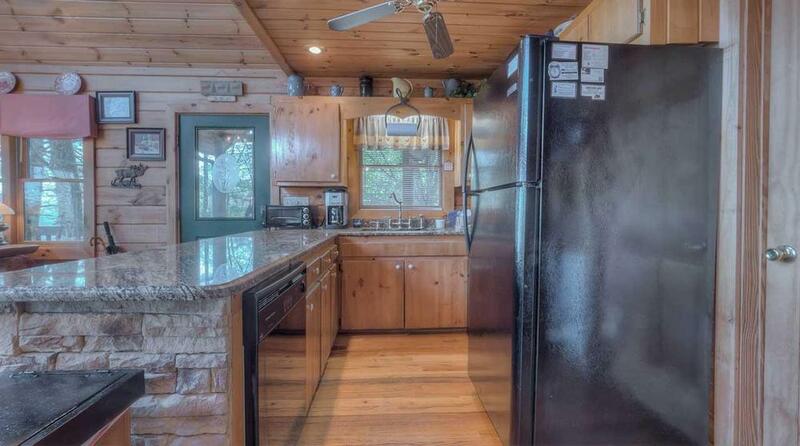 11/18 - This cabin is nice, homey and inviting. Love the view. You make is easy to have a great mountain experience. 10/18 - End of the road privacy, hot tub, great view. Great communication, easy to deal with. 09/18 - Beautiful and peaceful view. 07/18 - Quiet location and great view. Very professional and helpful staff. Instructions were easy to follow. 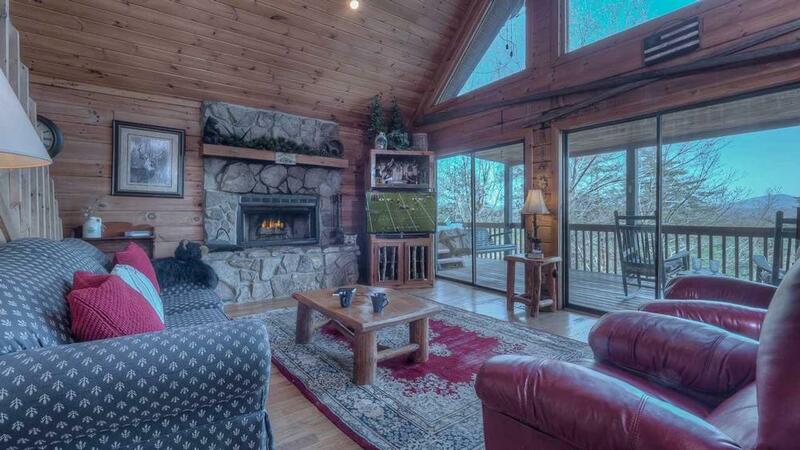 06/18 - Very cozy; great game room; lovely setting; great views; easy access; hot tub is in a great spot. I love your company, your great customer service, and how easy it is to make reservations and to swiftly check in. 3/18 - I love the view of the mountains, nice and cozy cabin. Love this company, very good, friendly staff. 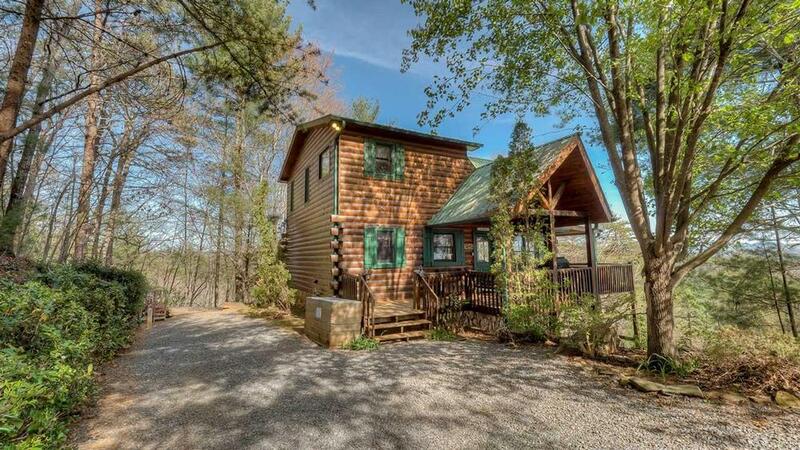 2/18 - Although this was not our first time using Escape to Blue Ridge, it was our first time at Cabin Sweet Cabin. We enjoyed everything about the cabin. It was cozy and private. Very peaceful. It felt like "home". 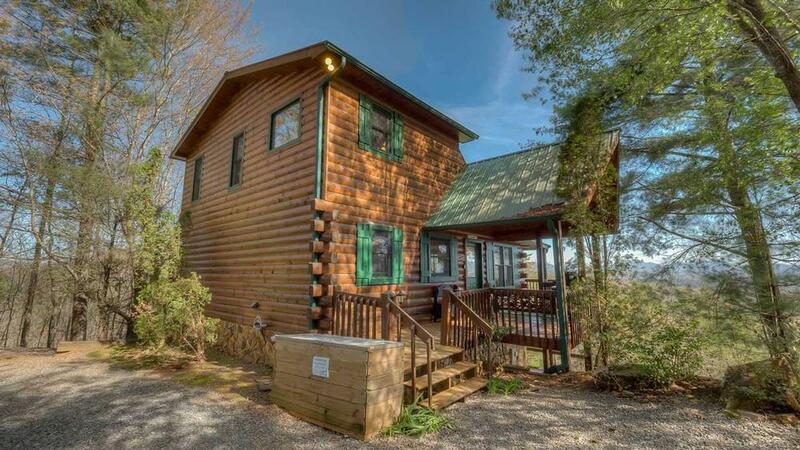 We will definitely use Escape to Blue Ridge again and look for Cabin Sweet Cabin. This was our second time using Escape to Blue Ridge. We have never had any issues. We look forward to using Escape to Blue Ridge in the future. 10/17- Enjoyed the glorious view of the mountains and the homey feeling of the cabin as if it were made for us. Good communication with guests and helping select the best for cabin for our stay. 09/17- This is the second time in eleven months that we rented Cabin Sweet Cabin. We enjoy the solitude and privacy of being situated at the end of the lane. That feature is only matched by the fabulous view of the mountain range in the distance. We continue to be impressed with all the comforts and conveniences of home (modern appliances, dishes/utensils etc.) The quality of the bed linens and towels are also appreciated as is the Housekeeping Department's eye for detail. Operationally, Escape to Blue Ridge continues to exceed all our expectations. EBR goes over-the-top to communicate every step along the way from making a reservation, the pre-arrival process through departure. Many thanks to Karen who took our reservation with such enthusiasm and Mike in Guest Services who provided us tech support in dealing with our TV/Cable questions. Your people are your greatest resource! We look forward to our return to Blue Ridge. 06/17- Beautiful location with a breathtaking view of the mountains! Cabin Sweet Cabin was clean with plenty of room and a nice hot tub. First class company and very professional and friendly staff, responsive to any and all requests. Clear communications and quality material supplied for our vacation. 05/17- We enjoyed the view, the hot tub, the relaxation factor and the overall experience. The location was great too and the wildlife walking past in the mornings as we watched from the balcony. This company felt like family to deal with. Professional but familiar which was great. 05/17- We loved the view and the coziness of the cabin. 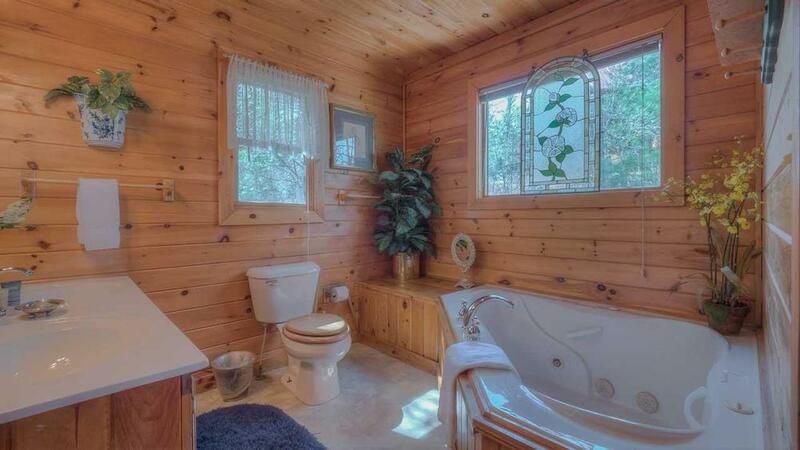 The house was well equipped with all the conveniences you would expect to find in your home. The limited interactions I had with the company were primarily on the phone but all were friendly, helpful and courteous! 04/17- This cabin is very nice and clean and the view is amazing. It is a very relaxing get-away. Great company to work with, very friendly and accommodating. 03/17- Our favorite features of the home were the 'wall of windows' providing a spectacular view and the wood burning fireplace. Your company appears to be very efficient. 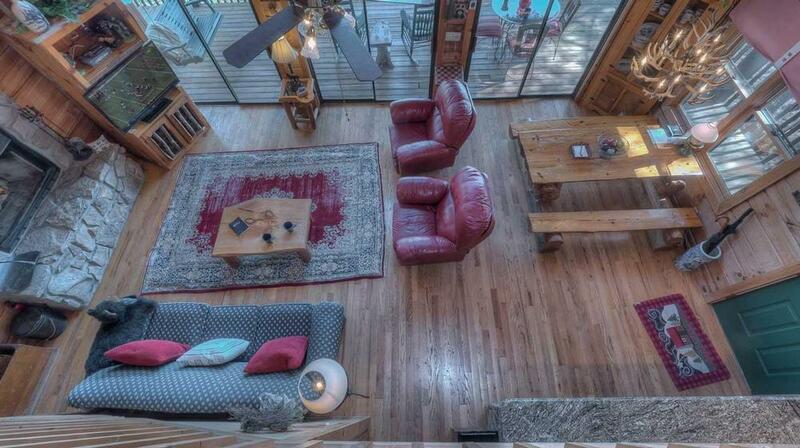 03/17- Our favorite features of the home were the hot tub, the view and the multitude of games in the game room. Escape to Blue Ridge is very well organized and efficient. 02/17- Very convenient to restaurants and shopping! Your company was very easy to work with! 12/16- Everything was EXACTLY as pictured online! Better than a hotel stay. Loved the amenities and the welcome treat. Professional and attentive to details. 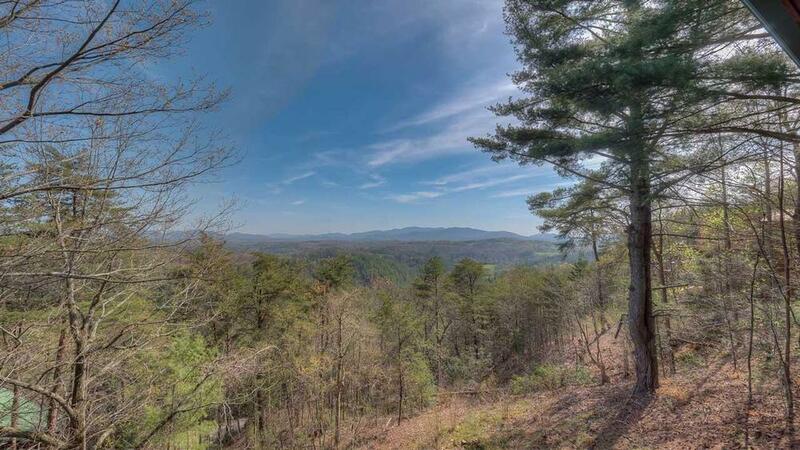 12/16- Great views and a very secluded feel to the home. The hot tub was awesome and very relaxing. You guys were great! 11/16- When we arrived, the cabin looked very welcoming. The location and views were fantastic. 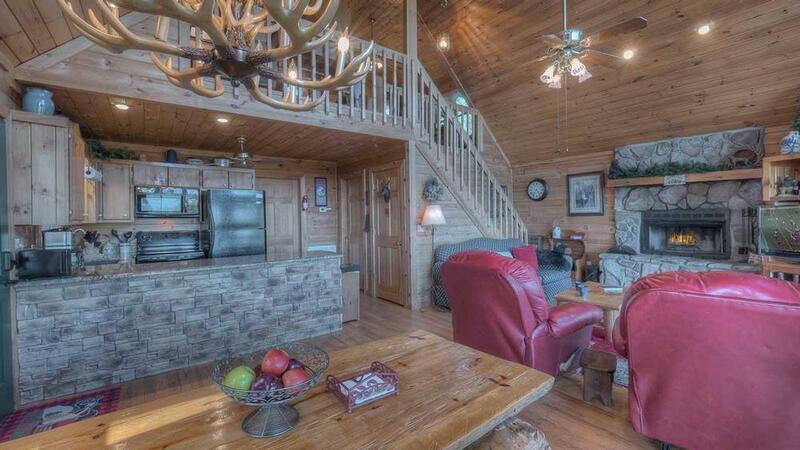 Love the cozy feel of the cabin and the hot tub was wonderful. The decor was really cute too. The company overall was professional, courteous, and accommodating. The whole reservation process was smooth and hassle free. This was one of the best vacations we have had! 11/16- The view was by far the biggest attribute....and we loved the hot tub and the covered porch. 10/16- Very cozy! 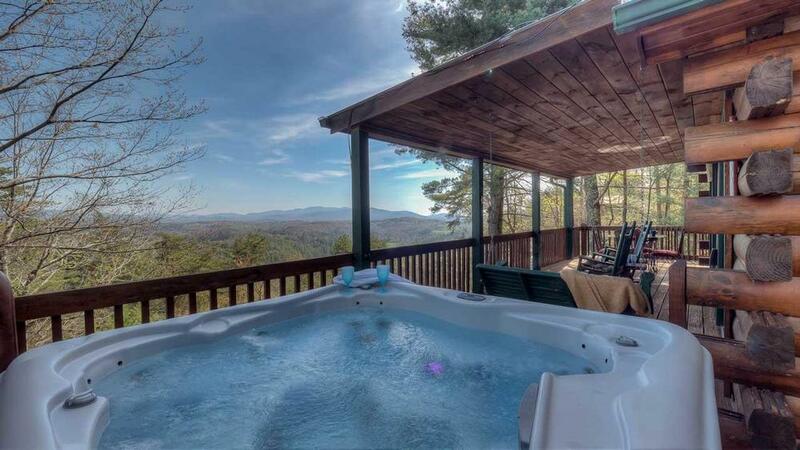 Loved the hot tub and the view of the mountains. Kitchen fully stocked! We could cook and bake! Had everything we needed! So peaceful and relaxing. Meals on the balcony. We loved it. So hard to leave! We had an excellent experience!! 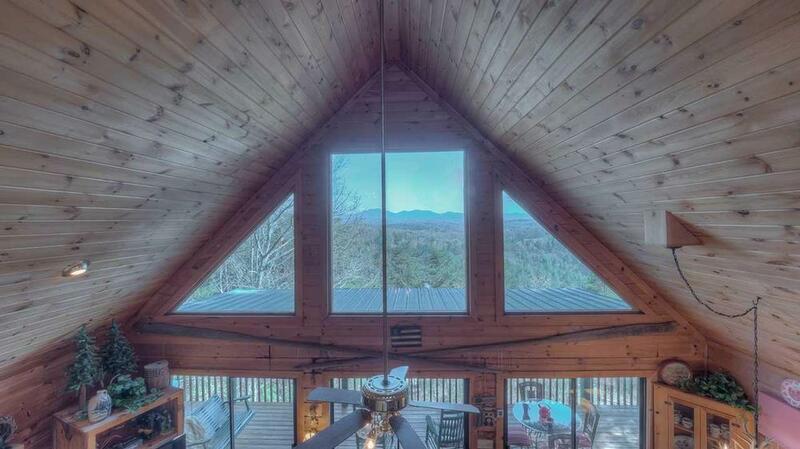 09/16- The cabin's central gathering room features a vaulted ceiling and sliding glass doors that lead to the outdoor covered porch and a truly spectacular view of the valley below and mountains in the distance. 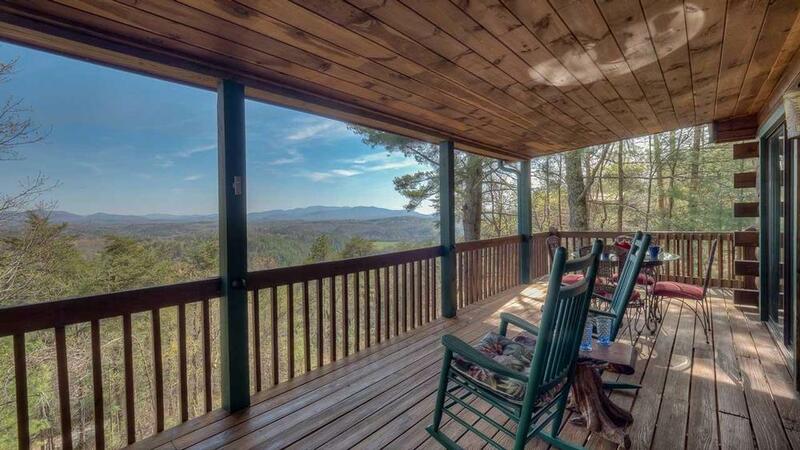 The breathtaking views featured from the porch can be enjoyed while dining at a glass table setting (we took every meal here) or while relaxing in rocking chairs, a seated swing or in the oversized hot tub (a favorite!). The interior decor is both warm and welcoming with every comfort and convenience provided. The beds were most comfortable with high quality linens featured. 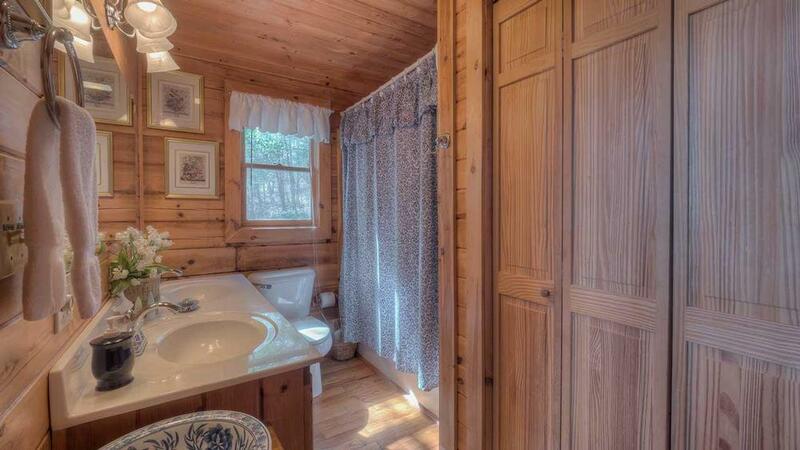 The bathrooms are attractive and clean with each offering a generous supply of bath towels. Other appreciated features include a wood burning fireplace, oversized HD television, washer/dryer, game room and a lovely, fully-equipped kitchen (the martini glasses and shaker were an extra bonus!!) We had a thoroughly outstanding experience and already are planning a return to "Cabin Sweet Cabin". 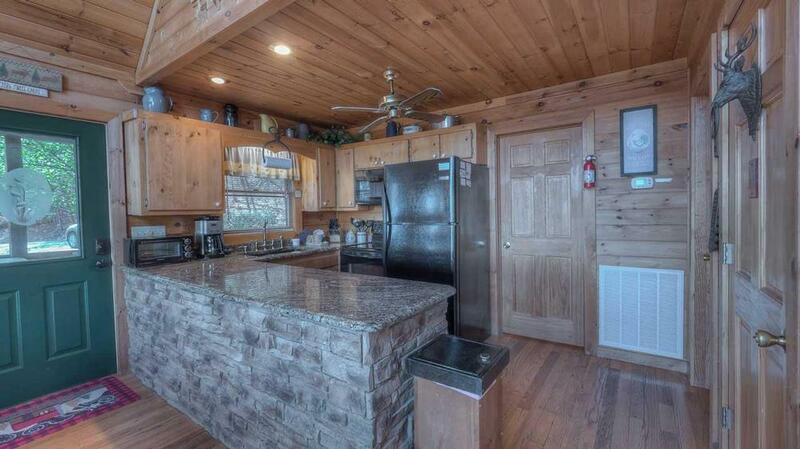 Your site was easy to navigate and search for cabin availability and pricing. The site also provided a valuable resource of what "Activities" (hiking, fishing, boating, dining etc.) were available to visitors in the area. I wish to also point out the fine efforts of the agent I spoke with in booking our reservation (I believe it was Denise). She was most pleasant in her manner, knowledgeable in the various products and most patient and supportive in answering my questions. We look forward to our return. Thank you. 09/16- Absolutely beautiful mountain views and the cabin was beautiful too. Love everything about it. Great experience and will definitely be back. 06/16- Omggg this was one of the best places I've stayed in such a long time, everything was perfect, rhe cabin was so clean the kitchen was well stocked with everything we needed, and the bed was sooooo soft and comfortable, my back didn't bother me one time, the hot tub was lovely and relaxing, my husband and I had the most well deserved short vacation we've ever had in ages, we just didn't want to leave and already planning another trip, hopefully in the winter We now live in Orlando but originally from New York and miss my snow. So we're hoping to return to the mountains in the winter! 05/16- The view is unbelievable! 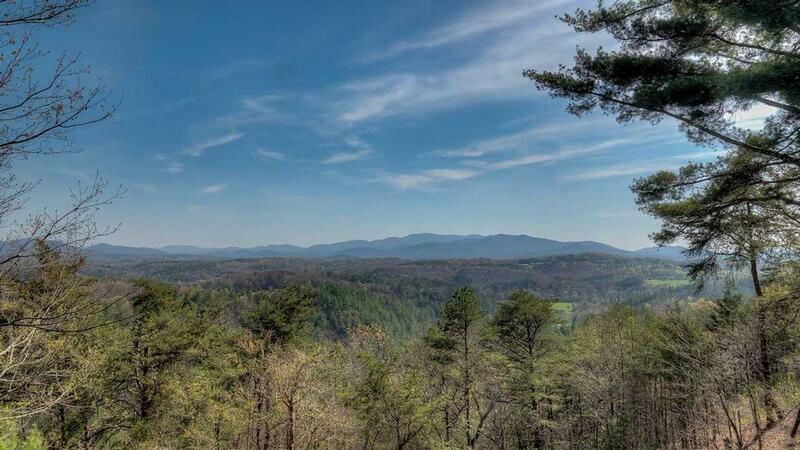 Not only can you enjoy the view from the deck but the living room & the loft so pretty much anytime of the day will you be able to soak up the stunning mountains. We also liked how private the cottage is. While the leaves are on the trees you cannot see any other cabins. The beds were very comfortable. 05/16- The view and the deer who cam to visit frequently. 04/16- The view and the escape with the peace and quite was amazing! 04/16- From the hot tub to the loft bedroom and everything in between, this home provided the perfect romantic getaway for my fiance and myself. 03/16- This was our first cabin experience. 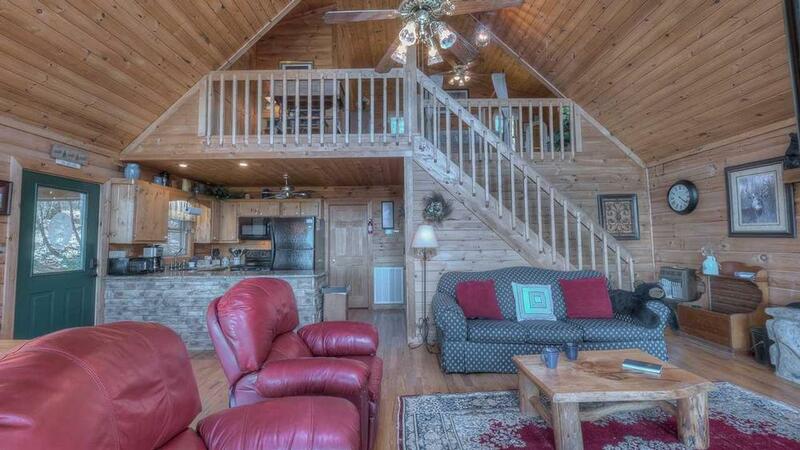 We enjoyed the cabin, location, and have created lasting family fun memories. Easy to book and great customer service. 03/16- The view is incredible. 02/16- The view from Cabin Sweet Cabin was the best of any cabin rental we've had. The little extras (shampoo/conditioner/coffee/candy, etc.) were a very nice touch. The beds were very comfortable and there were plenty of clean towels. 02/16- This cabin has a great view! We have used escape to blue ridge every time we rent a cabin!!! Love them!!! 01/16- The cabin had a great "home" feel. It conjured up fond memories of our youth. 01/16- The location of the home is nice. Remote and great view. 02/16- The home is well-furnished, especially the kitchen. We spent the week of Christmas there and brought a lot of pans, serving dishes and a crock pot as we were not sure what was provided. The home had everything we needed for baking and Christmas dinner as well as a crock pot for use during the week. We also loved having limitless firewood and had a fire constantly to enjoy! We were thrilled that our little dog was able to come with us, the hot tub was fantastic and the game room provided another area for TV-viewing and games so we weren't just stuck in one room together the whole week. We loved the home and could've moved right in! 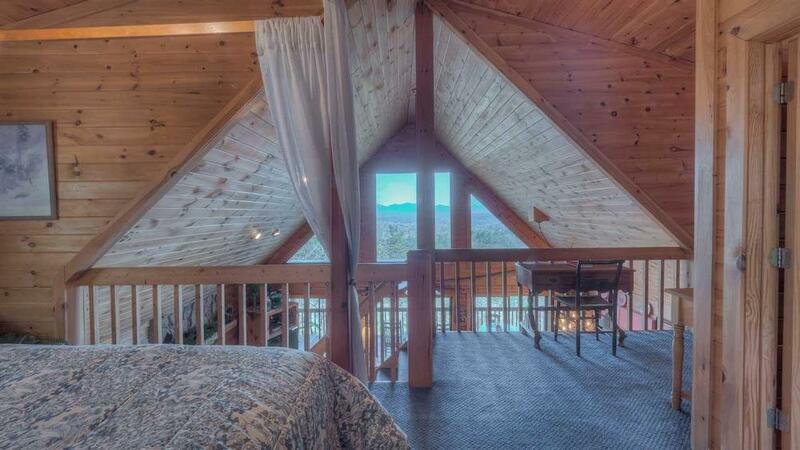 11/15- The loft bedroom where you could view the mountains from your bed are great. 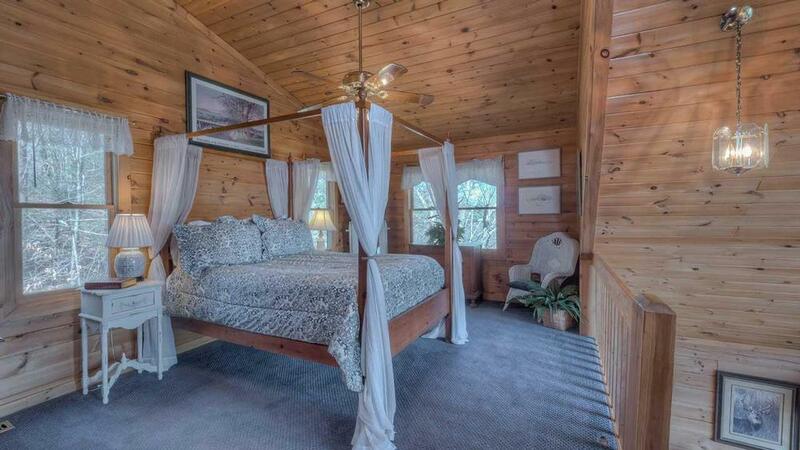 Plus the drapes you could close around the bed are a plus. We really enjoy ETBR. We have stayed at your cabins numerous times. We can always expect the same quality in each of the cabin stays and we love that we can go directly to the cabin. Sometimes we don't get into Blue Ridge until late, so its a good feeling to just drive up to the cabin, open the door and unwind. And your goodie bag is great. I'm too glad you're including coffee now. Yaye! 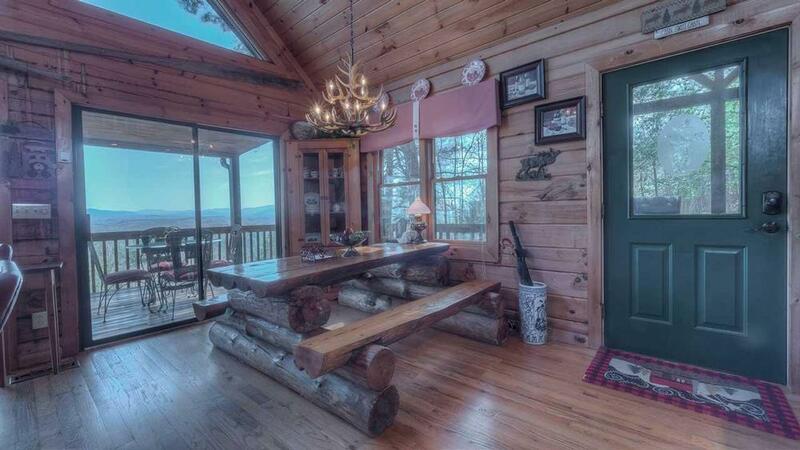 11/15- We love everything about this cabin. We love that it's at the end of the road, has the firewood right there, is secluded, beautiful view, and the most important for us is that it's dog friendly. We always choose this same cabin. Every time we call to make our reservations or ask questions everyone is always friendly and extremely helpful. 10/15- The view was great and I loved the swing and rockers. The grill worked fine also. Loft bedroom was wonderful. 10/15-We enjoyed the cabin location and view. The staff was very helpful and efficient. Appreciate the quick calls and always being available. 10/15- The hot tub was perfect. The real wood burning fireplace was also very nice. This is the 2nd time we've stayed there. Cabin Sweet Cabin is a home run. Would definitely stay there again! I think your customer service is your best attribute. I've always had Pleasant encounters with you guys. I'm in my 40's, and customer service is definitely important to me. I stop using company's if I don't like their customer service. 09/15- We most enjoyed sitting on the porch and enjoying the view. Staff was very pleasant, helpful and responded to issues quickly. While there, a storm split the tree in front of the cabin and it landed on one of our cars. They quickly came to remove it. Thank you. 09/15- We loved the Bedroom in the Loft. Waking up to the beautiful panoramic views was awesome. The staff did a fantastic job in helping me select a cabin. It was my first visit to the mountains and the staff made it so easy. 08/15- The view, other than that nothing. There was a scorpion in the shower the place smelled muggy and old. Spider webs , dust and just a creepy feeling. Outdated decor and games and furniture. Left items at one cabin and the helpful coordinator called to alert us of the missing items and drove over to the cabin to deliver. 07/15- It was a little bit smaller than we expected, but quite cozy. Well equipped, and an amazing view!! 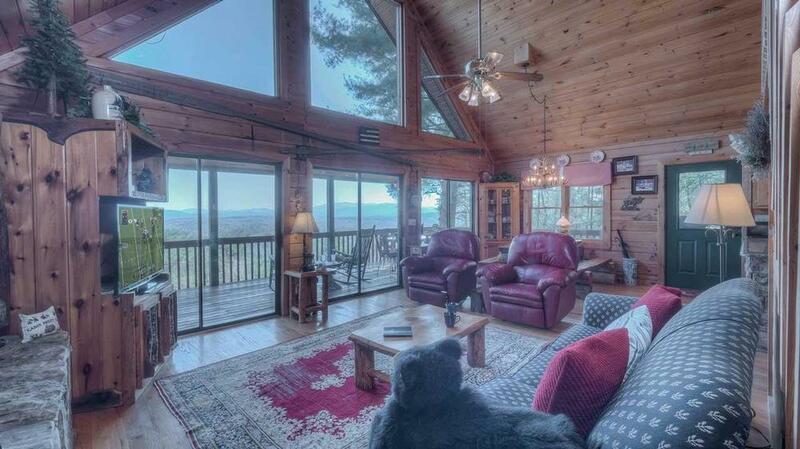 We have had a great experience with Escape to Blue Ridge every single time! 06/15- This was our second time staying at Cabin Sweet Cabin. it's an excellent place, with a super location on the end of the dead end road. 03/15- Fantastic view! Very comfortable. 02/15- We loved the view of course and the hot tub was nice. 11/14- The view was unbelievable. Very comfortable. Would have taken the recliners home if we had room in the car. Loved that firewood was provided. Booking was easy. Stay was wonderful. I hope that we can come back soon. 11/14- Actually this was one of the most uncomfortable home we have rented. 11/14- I like its at the end of a road so no passing traffic. 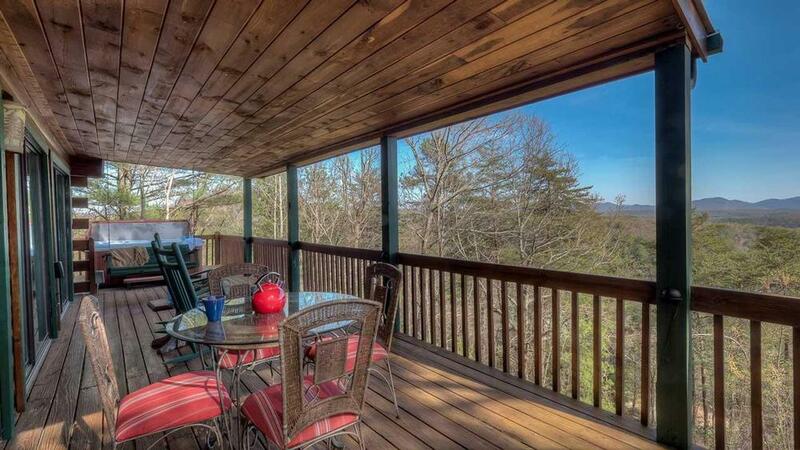 Great porch, covered, with great view. 10/14- It felt very inviting, warm and cozy. The view was spectacular and I so enjoyed my bedroom in the loft. I was very pleased with the arrangements. The cabin was wonderful and everything we needed was available in the cabin. It was very clean, comfortable and the linens were exceptional. Thanks for such a wonderful stay in Cabin Sweet Cabin and we hope to return in the future. 09/14- The view, and the hot tub. Nicely furnished. 08/14- Loved the view- especially from the bed in the loft. Kitchen was well stocked with pots and pans and utensils. Also loved the tub upstairs. 08/14- Fantastic view, the porch swing and the jacuzzi tub in loft were my favorite parts.